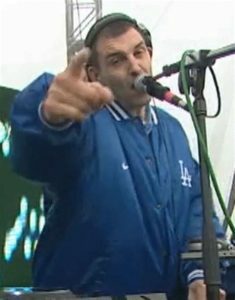 I scoured the internet and found a wonderful human who had made a command line Tim Westwood soundboard – very cool. Anyway, he had used the original SWF to get the audio files out of it, so I reached out to him and BLAMMO he had the original SWF! Big shout to Jacob, the big dog!!! The original Tim Westwood Soundboard was hosted here, but for some reason they took the main SWF down. I will host this soundboard until the end of time, UNDERSTAND THAT!